Here is what I got in my first box. 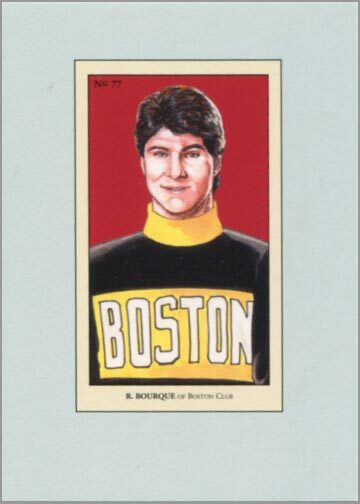 A retro-themed card of Ray Bourque, done in the same style as the 1910-11 Imperial Tobacco Set. 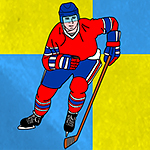 Denis Potvin, New York Islanders – Whoo Hoo! 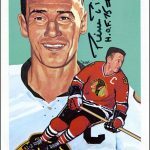 Autograph from a Hall of Famer! 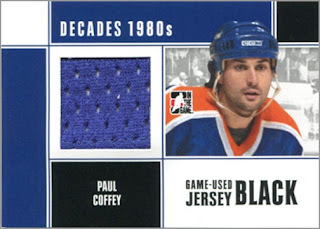 Paul Coffey, Game-Used Jersey Black – Not bad, considering how awesome Coffey was during his years in Edmonton. Cup Classes – Mike Bossy, Bryan Trottier, Richard Brodeur and Dave “Tiger” Williams. Nice! 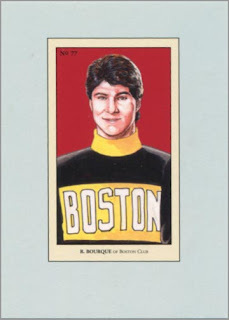 A quad-jersey card. 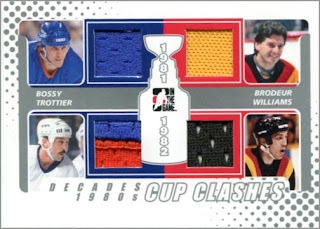 This card commemorates the 1982 Stanley Cup Finals matchup between the New York Islanders and the Vancouver Canucks. 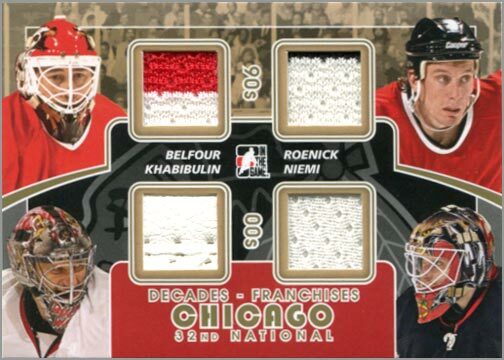 Decades Franchises – Ed Belfour, Nikolai Khabibulin, Antti Niemi and Jeremy Roenick. 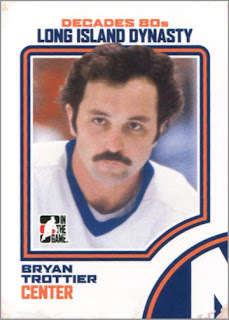 One of these kids is doing his own thing…one of these kids does not belong…now it’s time to play our game…. Wait, where was I? Oh yeah. 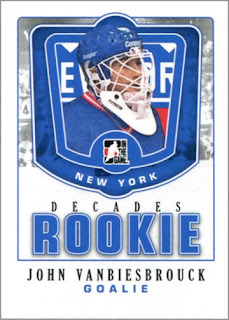 Freakin’ awesome. 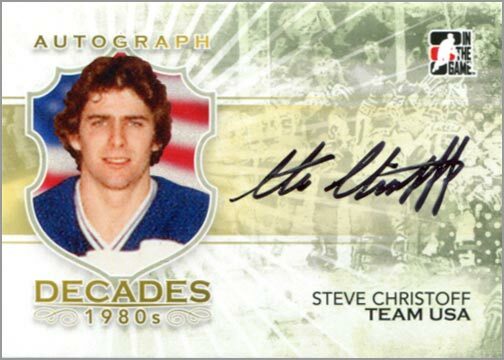 This is the first time I’ve pulled a quad jersey card of my favorite team. 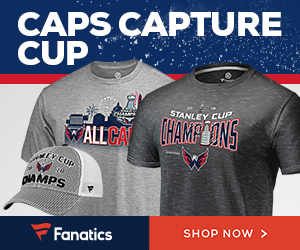 Of course, it was guaranteed in the “National Edition,” but no matter. 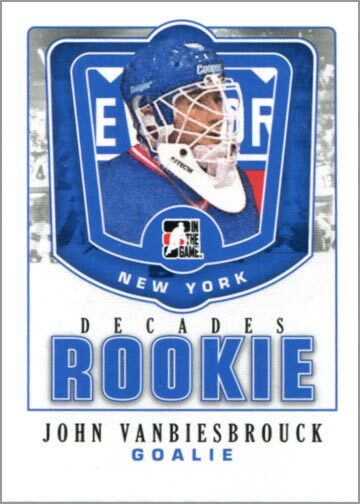 This will be one of the few jersey cards I actually KEEP in my collection. 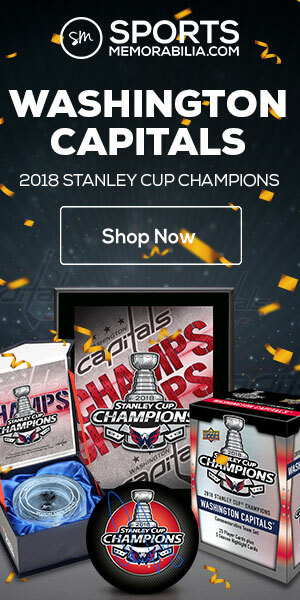 After opening my box–which you had to do at the In The Game booth at The National in the presence of one of their employees–I was told to reach into a bag and pull out a raffle ticket. 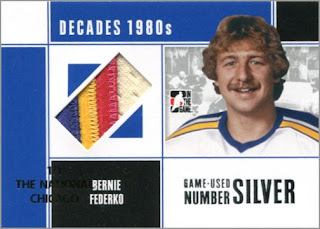 I handed the ticket to the employee, who then presented me with this 1/1 Bernie Federko number swatch card. 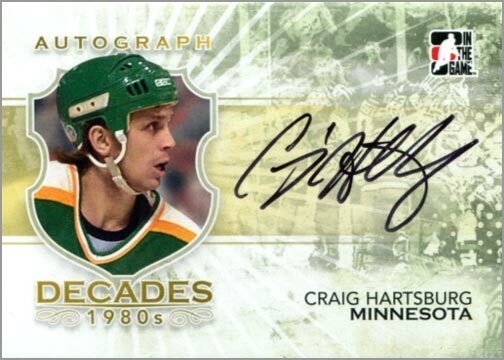 In gold ink, it is stamped 1/1 THE NATIONAL CHICAGO. 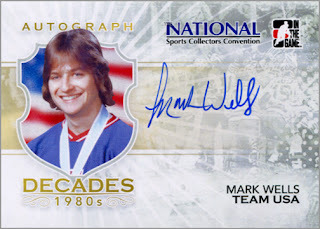 When I bought the box of Decades 1980s: National Edition, it entitled me to an autograph from 1980 Team USA Olympian Mark Wells, who was signing on Saturday at the show. In The Game provided these large, 5″ x 7″ oversize cards (complete with the National Logo) for Wells to autograph. 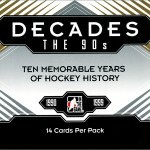 In conclusion, I liked this product-enough to buy a second box. I got a quad Blackhawks jersey card, an in-person autograph and a 1/1 jersey card. 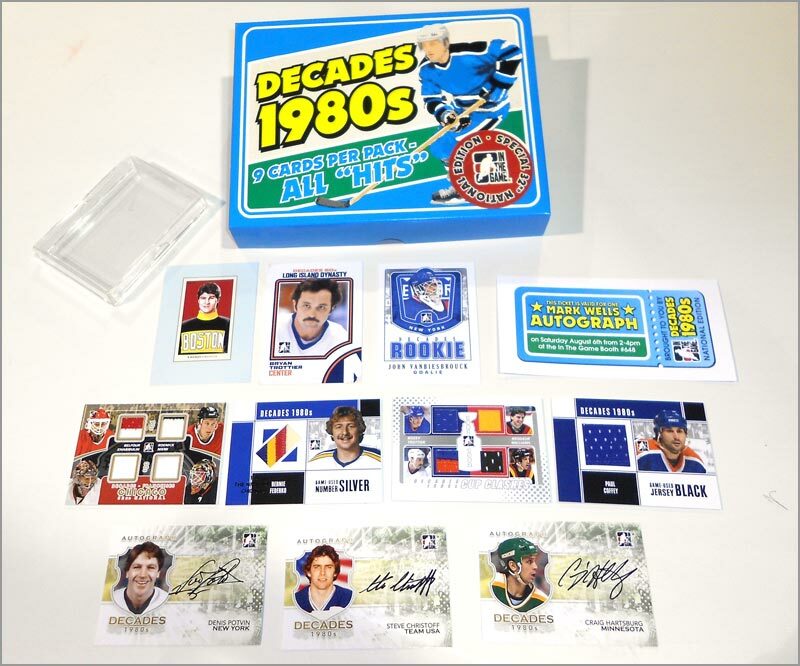 Not to mention that the box had a cool retro-themed card AND three autographs. 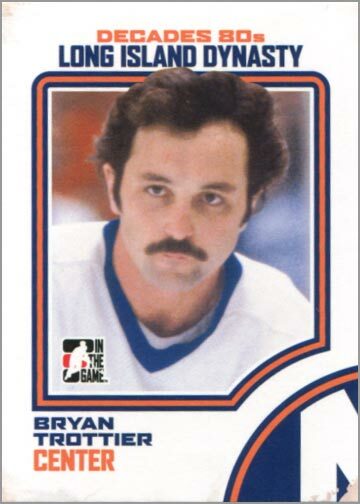 Even the jersey cards weren’t too bad, either. 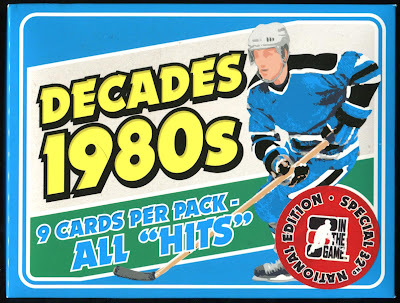 My second box break of Decades 1980s can be seen here.